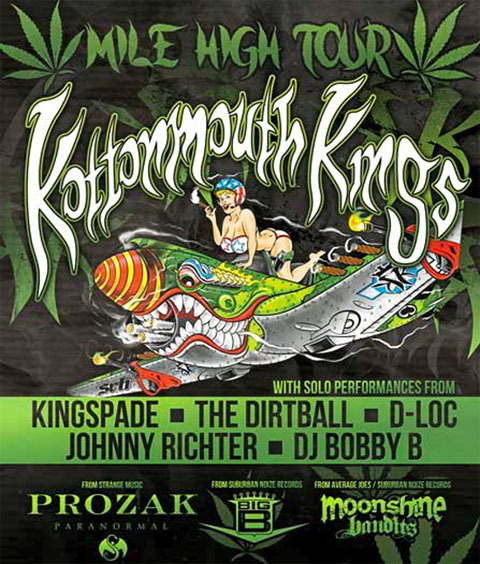 The grind isn’t over for Prozak as he prepares to embark on yet another trek across the country with the Kottonmouth Kings and the Mile High Tour. Fans who may have missed Prozak live on the Hostile Takeover 2012 Tour will get the opportunity to catch Strange Music’s Paranormal emcee as he smashes stages and fires up moshpits like only he can. With the tour set to kick off soon, we decided to ask fans which of their favorite Prozak tracks they most wanted to see him perform live. From his early days with Project Deadman to favorites from Tales From The Sick and Paranormal, fans are hoping to catch the very best of Prozak when he hits their city on the Mile High Tour! Check out what fans had to say below. CLICK HERE FOR TICKETS TO THE MILE HIGH TOUR FEATURING PROZAK! What did you think of the fan picks so far? Which tracks do you want to see live?